...and I say, yeah, yeah, yeah. I know, I know...bad joke....I apologize, but I just had to do it. 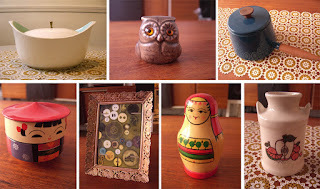 I want to share some neat-o purchases I made recently from one of my favorite Etsy shop...at BROOKLYNrehab! Alyssa creates wonderful objects from jewelery, to decorative figurines, and housewares. With her product design & fashion background, her modern take on traditional inspired creations are cute, but not too childish...elegant, but not too girly...simple,but not too boring. Kind of like me!...well... actually I'm pretty childish. I make fart jokes and throw fits if I can't get the kind of candy or ice cream I want. And...I'm pretty boring, too...since I make the same jokes all the time...same fart jokes. :P I TOTALLY excited to share these custom eggcups she makes! I had her make custom ones for "Ladies" and "Gentlemen"! Mind you that I get excited about eggcups and soft boiled eggs. Remember when I had my FIRST soft egg in an egg cup just last year?? Well, it's that time's 100, because now both Dylan and I get our own special eggcups to eat soft eggs now! I also got the faceted metal necklace, which I absolutely love and wear all the time now. It's that kind of simple elegance that I love so much. It's perfect! Alyssa also sent those lovely little treasures of a shell, a feather, and a porcelain slip-cast wing! It was an unexpected pleasant surprise, and so thoughtful. 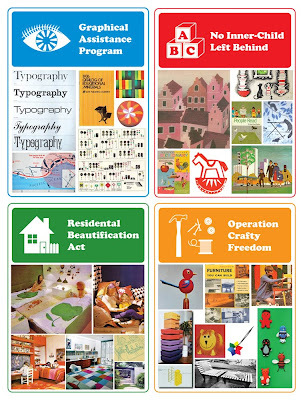 Dylan & I would like to present to you our newest project: A vintage book subscription service: L&G's Creative Literacy Bill of 2009! We're here to provide some assistance of our own in these tough times. 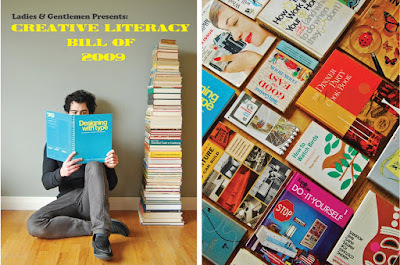 We decided to do our part to educate and inspire the populous through the power of vintage books. Our Creative Literacy Bill has all you need to inspire your everyday life and keep you optimistic during these hard times. 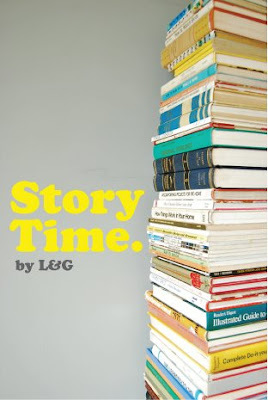 L&G also shares select vintage books on it's Storytime Segments for Poppytalk. You can see some examples of books we pick up and share, here. 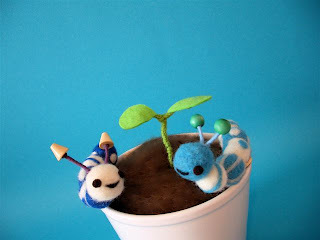 L&G Studio on Etsy Blog! Woo Hoo! We're SUPER DUPER excited to share that we actually got featured on "Get The Look:Home Edition"!! Our items from L&G has gotten picked for other people's spaces in the past, but now we finally got our own article! Hurray!! 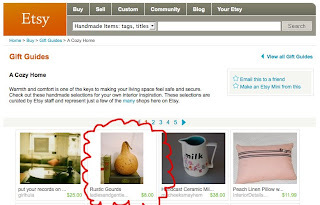 But being featured on Etsy was a totally unexpected surprise! 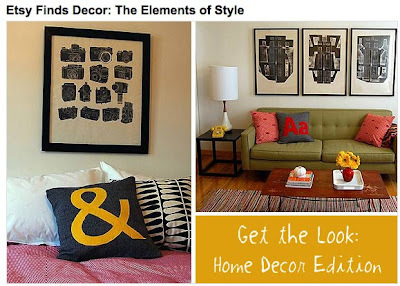 Here's a the "Get the look" article about our apartment: This weekend's Get the Look: Decor is inspired by the bright and colorful Seattle, Washington apartment of Jean and Dylan of ladiesandgentlemen. When it comes to finding great deals on vintage treasures and furniture, this couple has discovered the secret. With their background in industrial design, they also enjoy the challenges of remodeling a kitchen or building custom shelves that meet the demands of displaying their many vintage collections. 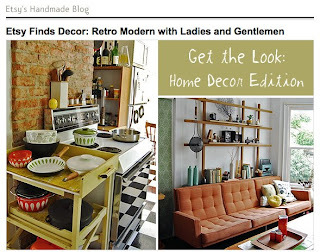 I recently interviewed Jean to find out more about Ladies and Gentlemen's decorating process. Read on to learn how to achieve their distinctive look. Dylan and Jean appreciate objects, be they high design or the everyday mundane. Dylan tends to gravitate to modern, clean, technical and minimal pieces, while Jean has a way of finding items with lots of color, texture and character. They're both accumulators, so the resulting collection is a great mix of simple and complex. "When we started the L&G shop last year, our affection for knick knacks, housewares and various eclectic objects really grew. Every time we find things for the L&G shop, we ended up keeping some stuff for ourselves. It's kind of a curse in disguise, since we still have trouble figuring out where to put everything." Ladies and Gentlemen love to display objects they cherish, so shelves and storage are critical. Storage within storage is even better to create various divided spaces to display items from giant beakers to tiny little pods and toys. "Shelves allow us to quickly and easily change the feeling of our space and house our collection of goods. In our dream space, we would like have an entire wall of floor to ceiling shelves. It's well worth the added dusting!" Dylan and Jean use their finds to create collages in their space. "Our permanent architecture and furniture tend to be more simple, timeless and versatile, so that they work well with whatever 'collage' of quirky objects we collect. As we develop our new space, we try to make initial decisions deliberately to change and grow over time. Every once in awhile we like to completely rearrange on a whim, too. It's always changing and evolving." Visit Etsy's There's No Place Like Here flickr pool to view more photos of Jean and Dylan's home. You can see the actual post, too see what they pick to get the L&G look! here. 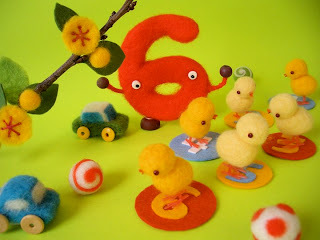 Here's some recent picks of L&G items on other Etsy posts. 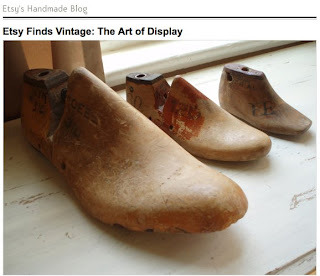 L&G item on Etsy's Finds Vintage: The art of Display L&G on Etsy's "A Cozy Home" gift guide. 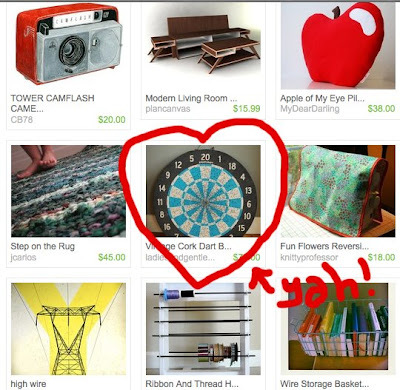 L&G on Etsy's Get the Look! 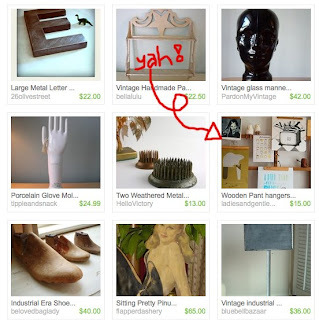 I was browsing Etsy's great "Get the Look:Home Decor Edition" and was thrilled to find that one of the Etsy admin picked an L&G item be part of the look ! The inspiration was from the Brooklyn, NY home of illustrator Alex Eben Meyer. This happened on the 8th...I'm always little behind on the news...but I can still pretend that it just happened, right? Here it is nonetheless! Ta-da! You can read the article, here! Video By Hine Mizushima, Titled "Can Camera camera case walk?" Yet another post about CAMERAS...well not entirely. 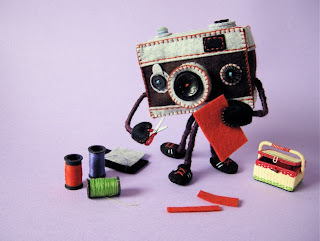 But even if you're not camera crazy like us, you will still fall in love with this incredibly adorable stop-motion video, by a talented Japanese plush artist and stop-motion animator, Hine Mizushima. The word "adorable" doesn't even do justice in describing her work. Hine has the power to make Care Bears look like bunch of assholes, to make Strawberry Shortcake look like a whore, and can tell Hello Kitty to shut the hell up....well...not in those words exactly... It's almost as if she collected all the good & happy thoughts in the world....a child's laughter, some fairy dust, a bunch of hugs and kisses, tons of puppies and kittens, all the rainbows and sunshine, millions of baby pandas rolling around, and infinite amounts of delicious french macarons...she takes ALL of the above....compresses it... and spits out little happy creations of miniature felt puppets, plush dolls, and colorful stage sets...simply...just for fun. The concentrated dose of all that goodness was so intense that I was literally having internal seizures from all the cuteness. I must warn you...you can try to fight it, but you'll soon realize that you just have to succumb and surrender to these feelings...of...happiness...and joy. Happy Friday and have a wonderful weekend!! Hine's Flickr site is even more unbearable!! And if you want to get one the camera cases go to her Etsy shop! Finally! I got my beautiful mustard colored YOKOO scarf!! I've been obsessing over it since my last post about her amazing handmade scarves before Fall even came...I finally just had to get it. It was hard deciding the colors since they're all so amazing. Just look at all the colors of yarn on her shelf...and that great teal wall. Check out her flickr where you can see great work, great photography, great portraits, great inspiration! Not only does this scarf makes you feel like the coolest person, wearing it also keeps you warm!! DOUBLE BOO YAH! The yarn she uses is big and soft, and feels so warm&cozy even on a depressingly wet & cold Seattle day. So here's me wearing my Yokoo scarf....."Oh! you like my scarf? Yeah, I know, Me too! Oh! and you think I'm the coolest person ever as well!? aww...jeez...thanks!! yeah...I TOTALLY agree with you on that..I AM cool!" Happy 2008! and yay for our store one Etsy! Happy new year everyone! I have a feeling that this year is gonna be great. I foresee great changes that will take place this year. Things like me waking up and going to work on time, eat more veggies and fruit (organic ones, of course) instead of my usual rice and fried eggs, bread and butter, or potatoes and cheese....dont' get me wrong, they're still very satisfying on occasion! But I do need to follow the "less carbs and more fiber/nutrition rule. "....that's what she says. But REALLY the biggest change of all is my launching of my new Etsy store 'Ladies & Gentlemen.' This is my store where I sell vintage goods that I find all over the place starting in Seattle, WA. (hopefully will expand to multiple states or even countries!) I always have this compulsive behavior where I see something at a garage sale or thrift store that I must get, but always end up talk myself out of it because in the end....I don't really NEED another owl figure besides the 10 that already have, or another set of creamer and sugar set. But it's just that when I spot something unique I feel like I need to just get it, and give it someone who'll like it as much as I do!! There's nothing wrong with me! Right?